Below is the program for the evening of Saturday February 2nd, 2019. Normally JAFWA would not screen on the first week of a month, but we took a week off for Australia Day celebrations, so we are trying to make it up this week. However, the Doctor Who club Westlodge will be having a club meeting during the afternoon, so we will have to wait until they are finished. Which means that JAFWA will have to start about 6PM, so we will miss a couple of episodes of anime. 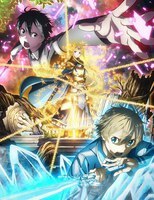 8:50pm Sword Art Online: Alicization – series 3 Ep 9/? Saturday April 13th 2019 — Nexus Toy Fair, Victoria Park Leisure Centres – Aqualife and Leisurelife (Leisurelife), 34 Kent St, East Victoria Park, Western Australia 6101. Entry $2. Friday June 28th to Sunday June 30th 2019 — Supanova 2019 – Perth Perth Convention and Exhibition Centre. October 5th and 6th 2019 — Madman Anime Festival – Perth 2019 Perth Convention and Exhibition Centre. In a possibly future Earth inhabited by jewels that take the form of people, Phosphophyllite (Phos) is weak (with one of the lowest hardnesses) and considered useless by their peers. Phos asks their aloof but wise colleague Cinnabar for help after they receive an assignment to create a history encyclopedia, thus begin their friendship and personal growth. Meanwhile, the “jewel people” have to keep defending themselves against the Lunarians who want to take advantage of their luxury value. Phos has been swallowed by a snail, and Diamond and Bort try to rescue her – only to find a slug creature!?! 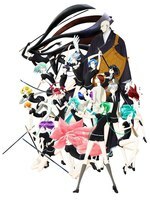 Diamond is one of the few Lustrous who want to try and turn Phos back into a Lustrous gem person. Can Cinnabar help? Working together with the goblins, Rimuru battles against the Direwolves, seeking to end the conflict. It would help if they had names so he tell them apart, but that has consequences also. He is going to need help to build the goblin village up. Yakuza member Yoshifumi Nitta, ends up taking care of a mysterious girl with telekinetic powers named Hina who inexplicably appeared in his apartment. Even though she threatens him with her extraordinary powers. A blonde girl named Anzu emerges from a similar pod as Hina, single-handedly taking down a street gang and stealing their leader’s clothes. Nitta accidentally runs into her at a ramen shop and finds out that she has the same powers as Hina. Later, Nitta finds out that his favorite women have stopped asking him out as word has gotten around that he has a daughter (Hina). Just before New Year’s Day, Lupin remembers a former caper in which he and his gang attempted to grab the legendary collection of Pablo, a notorious drug kingpin who disappeared in the South American jungle. Eventually they discovered Pablo’s secret hideaway for his collection of first-class vintage cars, but found themselves challenged by a car which was strangely invulnerable to their attacks. Eugeo and Kirito are now elite students of the academy. Humbert Zizek, Second seat among the elite students, challenges Eugeo for a duel. Things get complicated when our heroes discover that Humbert’s valet Frenica Szeski is being abused by Humbert. Sebas, Brain and Climb arrive at the Eight Fingers criminal cartel’s brothel and use two entryways: the front door to the main brothel, and the side entrance to the underground storage area. Climb & Brain take the latter door, while Sebas charges the front. Sebas forewarns the duo that if needed, he will kill opposition inside if he is forced to, with the both of them understanding; they only ask that the Eight Fingers leaders Coco Doll & Succulent be captured. In a world of fantasy, adventurers come far and wide to join the Guild, in order to complete contracts for whatever jobs are available. An inexperienced priestess joins her first adventuring party, but comes into danger after her first adventurer contract involving goblins goes wrong. After the rest of her party is wiped out, she is saved by a man known as Goblin Slayer, an adventurer whose only purpose is the eradication of goblins with extreme prejudice. And when rumors of his feats begin to circulate, there’s no telling who might come calling next. High Elf Archer, Dwarf Shaman and Lizard Priest ask Guild Girl for an adventurer called Orcbolg and Beardcutter, actually referring to Goblin Slayer in their race’s native tongues. While Goblin Slayer talks with the trio, Priestess gets defended by Witch, an acquaintance of Goblin Slayer, when some rookie adventurers try to convince Priestess to leave Goblin Slayer and join them. Set in 2001, two years after the events of Diamond is Unbreakable, Koichi Hirose is sent to Italy and tasked by Jotaro Kujo to search for Giorno Giovanna, an aspiring mafia gangster who is a son of Dio Brando. But as Dio possessed the body of Jonathan Joestar at time of his conception, Giorno is technically a Joestar and takes more after them than the father he never knew. 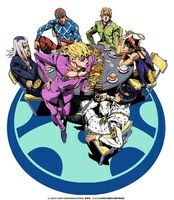 The series follows Giorno as he joins the mafia organization Passione, moving up through its ranks with the intention of becoming its boss to improve life in Italy. Bucciarati agrees to introduce Giorno into the Passione organization, but he has to be evaluated by Polpo. Giorno visits the morbidly obese capo Polpo in prison and realizes that he is a Stand user. Polpo tasks him with keeping the flame on a cigarette lighter burning for 24 hours as a test of his trust.